Dégringoler | One quality, the finest. St Andrews, my home for the next few weeks, is known for its university and golf course, not necessarily in that order. 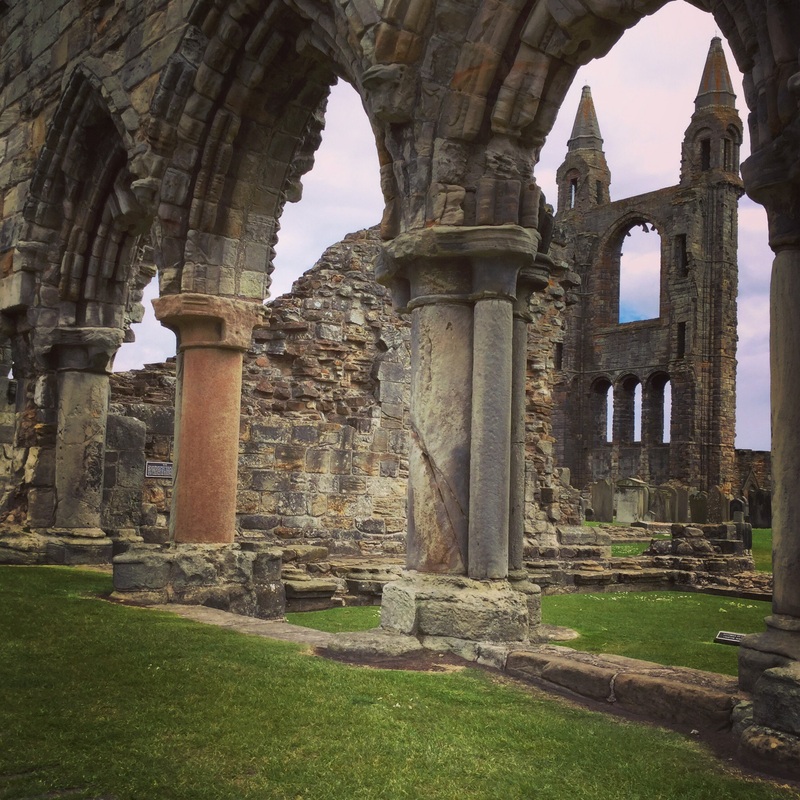 Even before the founding of the university in 1413, St Andrews was important as a cathedral town and for its castle. The church was built in 1158 as a suitable repository for relics purported to be the bones of the apostle Andrew, making the cathedral a significant destination for pilgrims. During the Scottish Reformation, the altars and images were removed and the church began its decline into its current state of ruin. The castle was the home to the bishops of the nearby cathedral, rather than royalty. It had strategic importance in the Wars of Scottish independence. 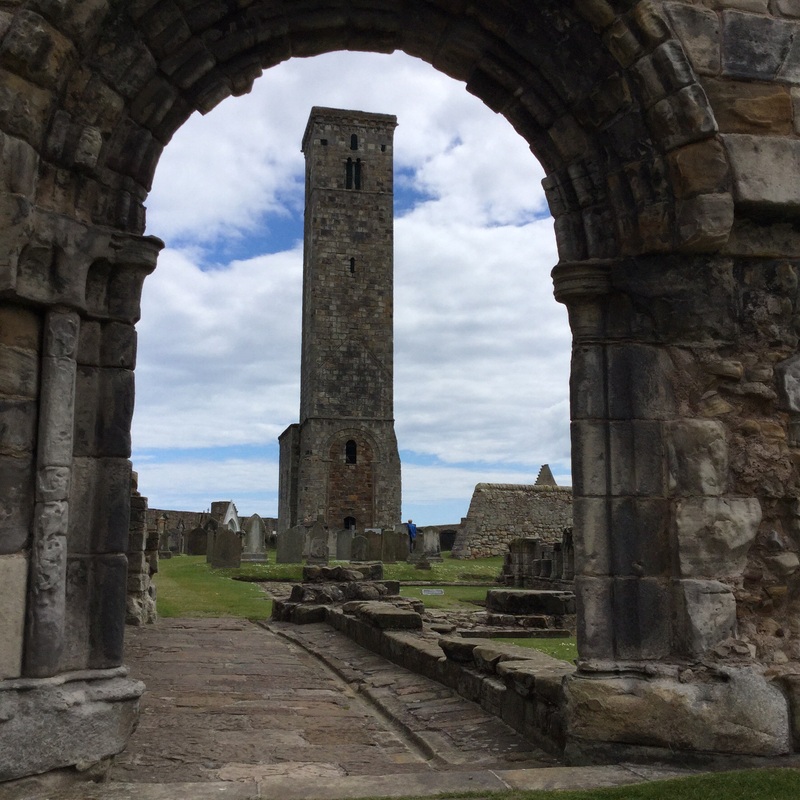 During the Reformation, it was first used as a prison for the Protestants, and then they took it over and formed the first Protestant Church of Scotland. When the castle was retaken, the famous preacher John Knox was among those taken as a prisoner and made a gallery slave. By 1656, the castle was in such a deplorable state that the stones were carted off to form the pier. The word dégringoler (day-gran-go-lay) means to tumble, crash down, or collapse. 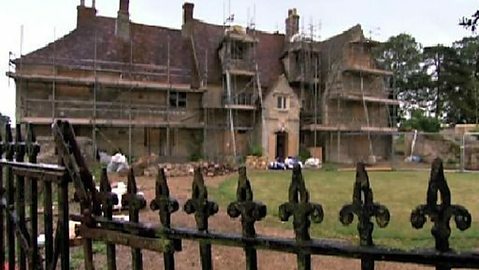 Lately, I’ve become a big fan of a BBC show called Restoration Home during which a decrepit building that is listed on the historic register is painstakingly restored by devoted owners. Many of these buildings look at bit like the castle and cathedral of St Andrews before their owners bring them back from a state of near collapse. 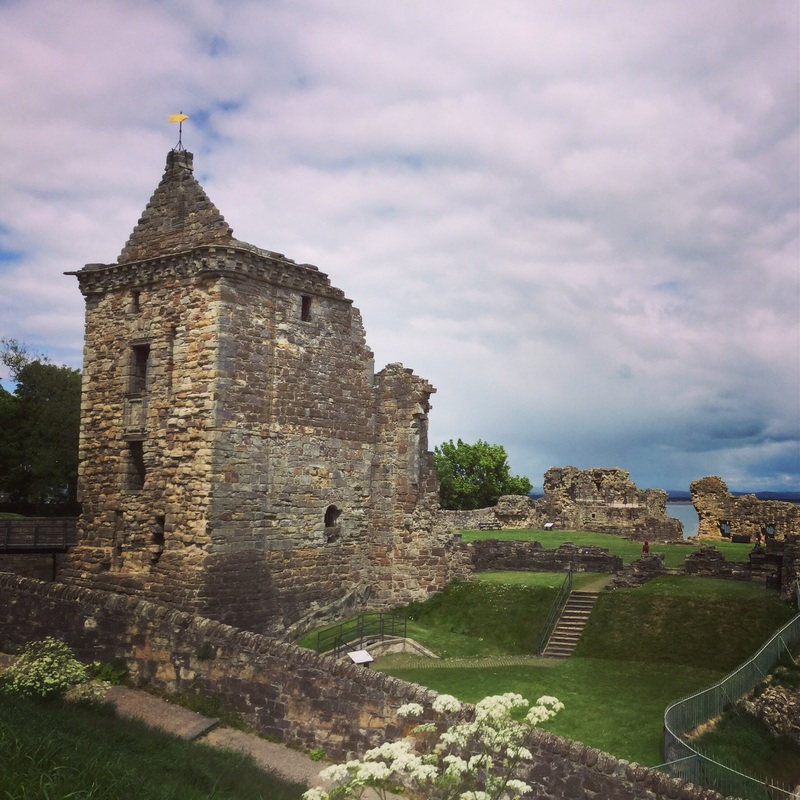 This entry was posted in Travel and tagged dégringoler, Restoration Home, St Andrews Castle, St Andrews Cathedral. Bookmark the permalink.